I agree. Having played the course several times, I continue to be awed by it. It has become my favorite mountain track, hands down. 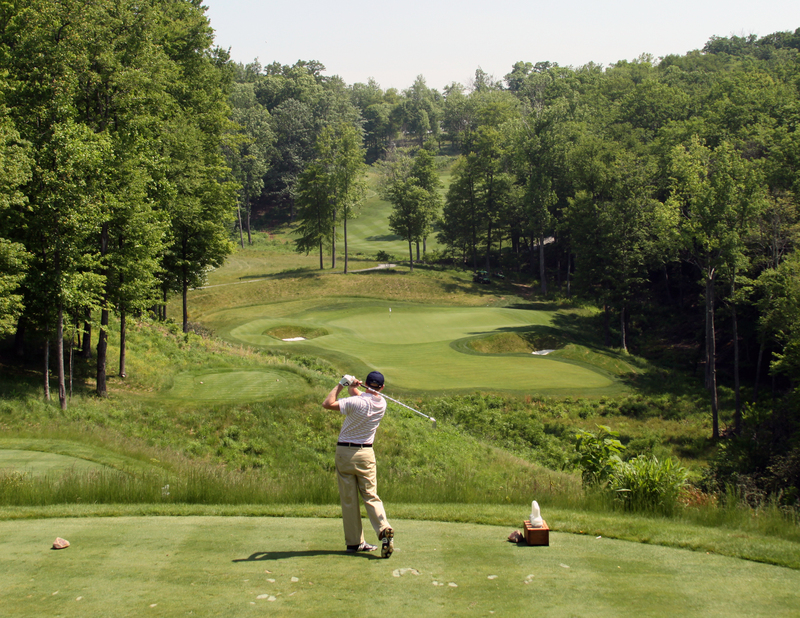 It’s no surprise to me that Travel+Leisure Golf named The Highland to its 2007 America’s Best New Courses list. Or that, in January 2008, it was Golf Digest’s choice as the country’s best new public course in the over $75 a round category. The first hole is a portent of challenges–and scenery–to come. The par-five doglegs through an opening in a rocky ledge and drops steeply to an angled green that drops off on three sides. Behind the green, the land slopes into a deep valley with tree-covered mountains rising on the far side. 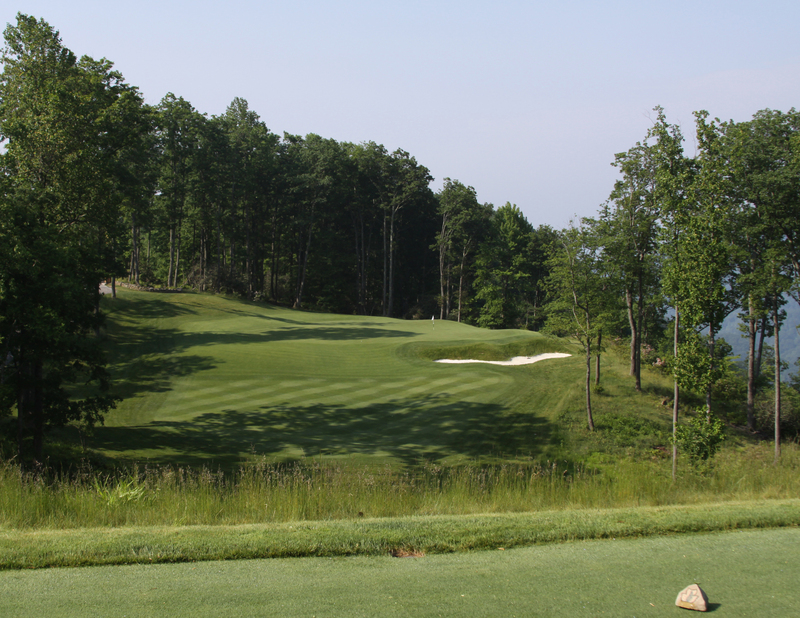 The second hole is a par three that calls for a do-or-die shot over a deep chasm to a green set atop a steep hill. If you land short, your ball rolls back toward you—usually a very long way. Get used to it; four of the course’s five par threes require spot-on carries over trouble to inhospitable greens. After the front nine’s gantlet of ravines and canted, tree-lined fairways, the tenth hole bursts into an open field with distant mountain views. 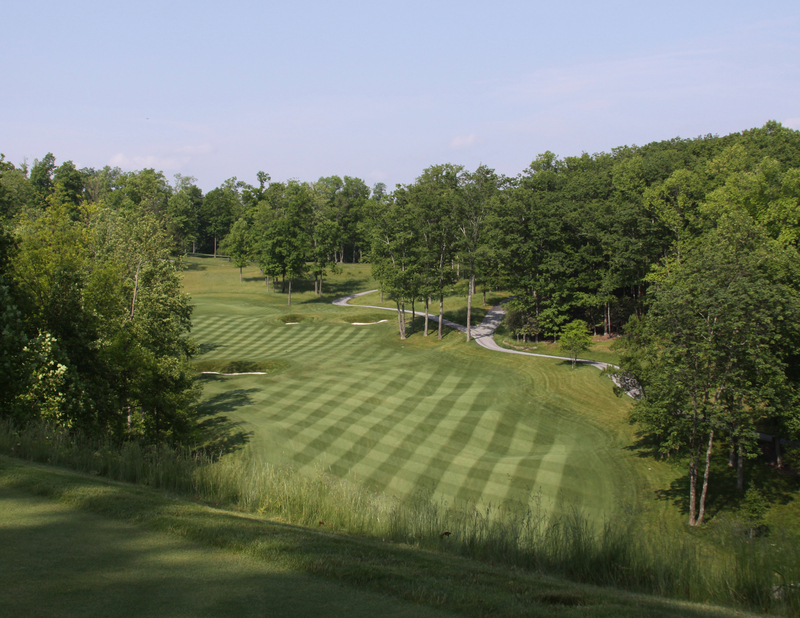 The 463-yard (427-382-346) dogleg par four tees off next to the lodge and sweeps right around a down-slope covered in tall grass. While the fairway looks like a big target, deep bunkers are set into mounds on the right and bunkers on the left fringe are also positioned to catch drives. It takes a good long drive to be in position to carry the cross bunkers in front of the green, and stick your ball on the slick putting surface. With good reason, it’s the number one handicap. Steel often allowed the terrain to provide natural hazards—cliffs and deep woods from which there is no escape—but he spiced up an already stiff test with vast, Scottish-style bunkers throughout, and none are extraneous. To top it off, the greens are quite large, with lots of undulations and a short-clipped fringe that invites balls to roll away. In short, it’s a course that does not “suffer fools gladly.” You must choose your tee (5,422-6,054-6,450-6,771-7,034 yards) and your clubs wisely—and plan your strategy on every hole so you can achieve a favorable position for your approach. Donald Steel is not yet a household name in the U.S., but his work is highly regarded worldwide. An architect since 1965, he founded his own design company in 1987 and has since built 70 courses in more than 20 countries. Six of his designs or re-designs have hosted major tournaments on the European PGA or LPGA tours in recent years. 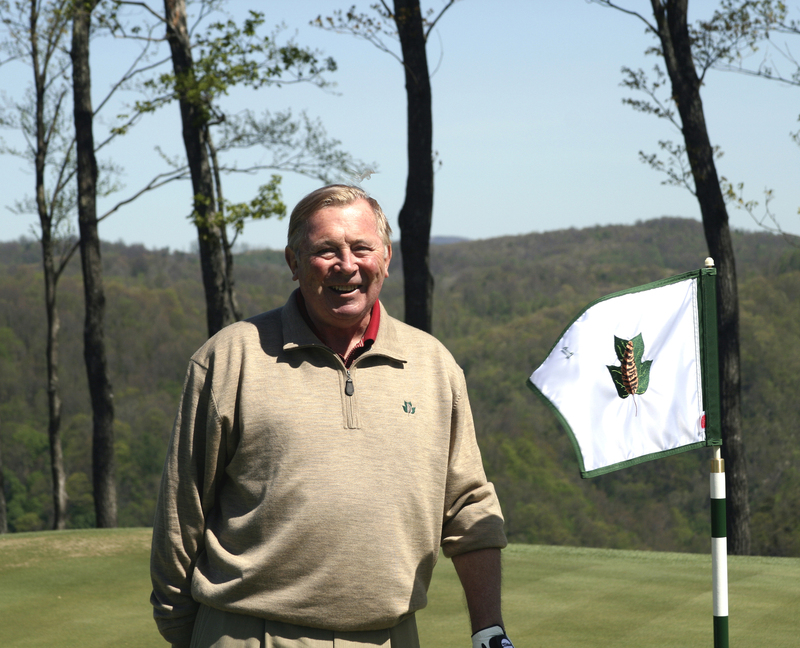 He has four layouts in the U.S.—Cherokee Plantation in South Carolina, Carnegie Abbey in Rhode Island, The Vineyard in Massachusetts, and The Highland Course at Primland. I’ve played two of his creations (Primland and the Abaco Club at Winding Bay in the Bahamas) and am hungry for more. I’ve also dined with Steel several times at Primland, and found him to be delightful, with a wry Scottish humor and a wealth of stories from his colorful past. A graduate of St. Andrews University, he became the Sunday Telegraph’s golf correspondent at 34, a position he held for 30 years. In 1960 he graduated from Cambridge with a master of arts degree, and turned his hand to designing golf courses. As the first person to have had careers in golf writing and architecture, Steel has held many distinguished posts and honors—including being an advisor to every club that has hosted the British Open. Finding a world-class golf course by such an esteemed architect atop Virginia’s Blue Ridge Mountains is great—a pleasure that is compounded by finding a gourmet chef there, too. The resort’s Stables Saloon Restaurant is rustic chic, with knotty pine walls decorated in nineteenth-century hunting and fishing paraphernalia. It’s a place where hunters, fishermen, golfers and families alike are at ease. Chef Britt Saylor, who could hold his own anywhere in the world, is the master of subtle touches—black-eyed peas garnishing a fresh salad, tender beef filets lightly seared in an iron skillet, and fresh mussels steamed in a sauce designed to enhance but not interfere. His menu is eclectic, with seasonal game dishes and imported meats as well as traditional Southern-style fare. On our last visit he prepared a fantastic osso buco with local lamb because he knew it was Donald Steel’s favorite. Another personable and highly qualified member of the Primland team is Head Golf Professional Jeff Fraim, a 34-year-old Class “A” PGA member with 16 years in the business, most of it at prestigious private clubs such as the Myopia Hunt Club and the Edgartown Golf Club in Massachusetts, Yeamans Hall Club in Charleston, South Carolina, and the Sunnybrook Golf Club in Pennsylvania. 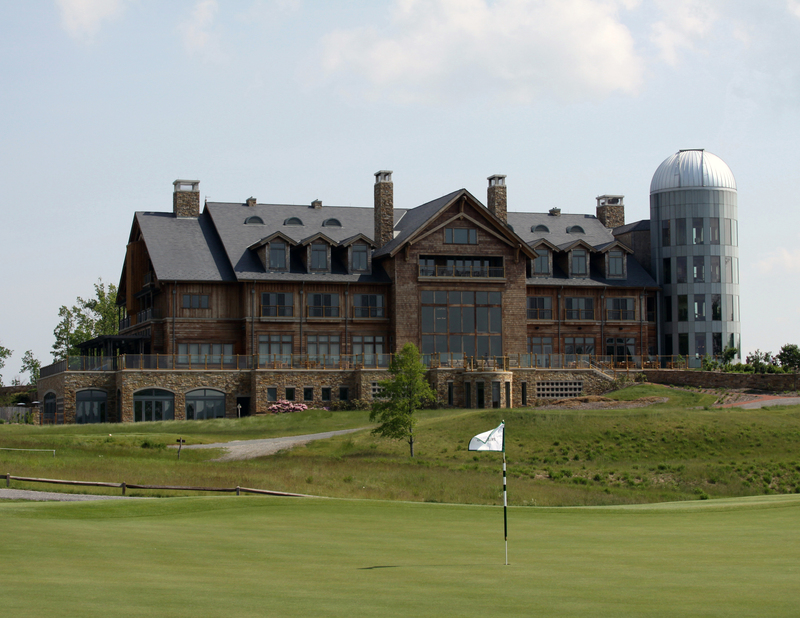 All of the Primland staff are looking forward to the opening in 2009 of the “Clubhouse,” the resort’s main lodge, which will contain 26 beautifully appointed rooms and suites with nine different floor plans. All have great views. We did a hard-hat tour of the building in August 2008 with the hotel’s general Manager, Brooks Bradbury, who came to Primland from Kohler, Wisconsin. Needless to say, the bathroom and kitchen fixtures are stunning. We were enchanted by the loft suite, which occupies two floors of a round turret topped by an observatory with a 360-degree view. On the ground floor is a 100-seat gourmet restaurant and an adjacent terrace bar seating 25, both with terrific views through tall windows. On the side overlooking the tenth tee and mountains beyond, a pair of facing stone fireplaces rise two floors. The Golf Club Wing houses a pro shop, locker rooms and a spa with an indoor swimming pool. The Clubhouse, with its natural wood and stone exterior, mimics the old stone mountain lodges that are indigenous to the Virginia hills, and blends beautifully into its surroundings. Similar architecture was employed in the three luxurious new fairway cottages, each with a kitchen and two bedrooms, vaulted wood ceilings with exposed beams, and stone fireplaces. Our cottage had a private porch with comfortable chairs overlooking the tenth fairway—a perfect place for early morning coffee and late afternoon drinks. One night we were lulled to sleep by the sound of rain drumming on the tin roof. On another visit we stayed in one of the 15 older—but no less luxurious—cabins tucked into the woods along the ridge, with views of the valleys and mountains beyond. The cabins range from one to seven bedrooms, most with screened porches and gas fireplaces. Furnishings in the cabins and fairway cottages fit the setting—thick quilts, wood floors and deep, comfortable chairs and sofas. Future plans for the resort include a limited real estate offering that will allow investors to build vacation homes on large wooded lots. Even so, Primland will never feel like a “development,” and homes will never line the pristine golf course. Twelve thousand acres of forest will always preserve the wilderness atmosphere that makes it such a special place. Primland Resort is close to the Blue Ridge Parkway, about five hours from Washington, D.C. via Interstate 81. 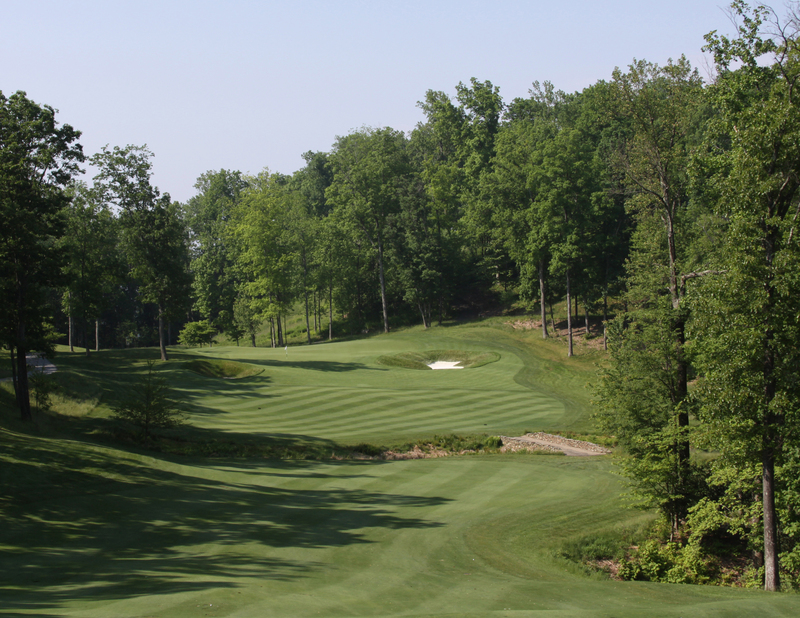 For more information call (866) 960-7746 or (276) 251-8012 or visit www.primland.com.